Improve your home with the help from Bannochie Builders. There are countless ways to add value to your existing home and Gary Bannochie and his crew know exactly how to complete lasting remodeling finishes that bring your home into today’s style, as well as add function to your home in ways only an experienced contractor knows how. 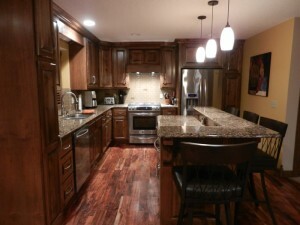 Show your Edina, MN home some love before your stuck in it for the long-winter-hall. Are you unsure of what remodel you’ll benefit from the most? Maybe you’ve got a few things on you mind but only have ‘so much’ to spend in the year 2014…If you’ve outgrown your homes layout, or you need more space, function, storage or you just need to mix things up – Bannochie Builders can collaborate with you and invent a new kind of remodel project or even just help you select the one you will be happiest with overall. We live in the remodeling world. Our daily life consists of completely transforming living spaces, which improves the daily lives of many. Just as you are a busy working professional and we would expect to learn something from you about your profession, we can share with you our experienced opinions. There are little things that make a world of a difference, from the size of a door swing, to the position of a shower head, it is important to consider the size of everything you do. When remodeling any space, it is important to think of the entirely finished project, how it will achieve the desired outcome and every aspect of its function. Which is hard for many that not in the remodeling field as a profession, each aspect is a piece of the puzzle and when a piece is forgotten, the puzzle is not complete. We know how to look at the entire picture, while still remembering every piece of your puzzle. Bannochie Builders is proud of our remodeling results, we are passionate about our career and delight in every home improvement project we take on. We wake up happy to be able to do the work we love and you will see it on our faces. We are a family owned and operated business that’s focused on 100% customer satisfaction, quality and customer service. When you choose Bannochie Builders Inc. you’ll be back for more! Contact us today at 763-574-0131 or contact Gary Bannochie, the owner directly on his cell at (952)220-5950. Over-satisfaction Guaranteed! This entry was posted	on Monday, October 20th, 2014 at 8:10 pm	and is filed under Home Remodeling. You can follow any responses to this entry through the RSS 2.0 feed. You can leave a response, or trackback from your own site.